Ischemia-reperfusion injury is a common pathological process in liver surgery and transplantation, and has considerable impact on the patient outcome and survival. Death receptors are important mediators of ischemia-reperfusion injury, notably the signaling pathways of the death receptor CD95 (Apo-1/Fas) and its corresponding ligand CD95L. This study investigates, for the first time, whether the inhibition of CD95L protects the liver against ischemia-reperfusion injury. Warm ischemia was induced in the median and left liver lobes of C57BL/6 mice for 45 min. CD95Fc, a specific inhibitor of CD95L, was applied prior to ischemia. Hepatic injury was assessed via consecutive measurements of liver serum enzymes, histopathological assessment of apoptosis and necrosis and caspase assays at 3, 6, 12, 18 and 24 h after reperfusion. Serum levels of liver enzymes, as well as characteristic histopathological changes and caspase assays indicated pronounced features of apoptotic and necrotic liver damage 12 and 24 h after ischemia-reperfusion injury. Animals treated with the CD95L-blocker CD95Fc, exhibited a significant reduction in the level of serum liver enzymes and showed both decreased histopathological signs of parenchymal damage and decreased caspase activation. This study demonstrates that inhibition of CD95L with the CD95L-blocker CD95Fc, is effective in protecting mice from liver failure due to ischemia-reperfusion injury of the liver. CD95Fc could therefore emerge as a new pharmacological therapy for liver resection, transplantation surgery and acute liver failure. High-mobility group box 1 (HMGB1) is a nuclear factor that is released extracellularly as a late mediator of lethality in sepsis as well as after necrotic, but not apoptotic, death. Here we demonstrate that in contrast to the delayed role of HMGB1 in the systemic inflammation of sepsis, HMGB1 acts as an early mediator of inflammation and organ damage in hepatic ischemia reperfusion (I/R) injury. HMGB1 levels were increased during liver I/R as early as 1 h after reperfusion and then increased in a time-dependent manner up to 24 h. Inhibition of HMGB1 activity with neutralizing antibody significantly decreased liver damage after I/R, whereas administration of recombinant HMGB1 worsened I/R injury. Treatment with neutralizing antibody was associated with less phosphorylation of c-Jun NH2-terminal kinase and higher nuclear factor–κB DNA binding in the liver after I/R. Toll-like receptor 4 (TLR4)-defective (C3H/Hej) mice exhibited less damage in the hepatic I/R model than did wild-type (C3H/HeOuj) mice. Anti-HMGB1 antibody failed to provide protection in C3H/Hej mice, but successfully reduced damage in C3H/Ouj mice. Together, these results demonstrate that HMGB1 is an early mediator of injury and inflammation in liver I/R and implicates TLR4 as one of the receptors that is involved in the process. Lethal effect of the anti-Fas antibody in mice. During mammalian development, many cells are programmed to die most mediated by apoptosis. The Fas antigen coded by the structural gene for mouse lymphoproliferation mutation (lpr), is a cell surface protein belonging to the tumour necrosis factor/nerve growth factor receptor family, and mediates apoptosis. The Fas antigen messenger RNA is expressed in the thymus, liver, heart, lung and ovary. We prepared a monoclonal antibody against mouse Fas antigen, which immunoprecipitated the antigen (M(r) 45K) and had cytolytic activity against cell lines expressing mouse Fas antigen. We report here that staining of mouse thymocytes with the antibody indicated that thymocytes from the wild-type and lprcg mice expressed the Fas antigen, whereas little expression of the Fas antigen was found in lpr mice. Intraperitoneal administration of the anti-Fas antibody into mice rapidly killed the wild-type mice but neither lpr nor lprcg mice. Biochemical, histological and electron microscope analyses indicated severe damage of the liver by apoptosis. These findings suggest that the Fas antigen is important in programmed cell death in the liver, and may be involved in fulminant hepatitis in some cases. 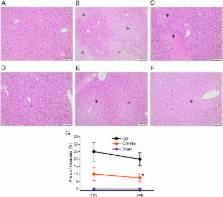 Galactosamine-induced fulminant liver failure--observation in a porcine model. Characterization of phospholipase A2 (PLA2) activity in gerbil brain: enhanced activities of cytosolic, mitochondrial, and microsomal forms after ischemia and reperfusion. Exogenous nitric oxide protects kidney from ischemia/reperfusion.